Bobbie's worried that her dope plants may be discovered, while Pixie tries to reconcile Kerryn to prison life. Reb raises the alarm with Joyce and says Joan may be dead. Ann reports the discovery of the letter to the police. Meg and Ann are amused by the idea of Joyce hauling Joan to safety. Myra and Pixie try to convince Kerryn that she ought to try to make friends with some of the women. Dot accuses Angel of ruining her crochet. The women figure out that it was Reb who was in danger from Joan, not the other way round. Bobbie and Marlene start a card school. Ann obviously doesn't believe Joan's version of events but Reb tells Ann Joan fell because she was trying to push her over the edge. Ann tells Joan she is holding her responsible for making sure that no harm comes to Reb before the results of the enquiry. Myra confiscates Marlene's winnings when Pixie notices the cards are marked. Stan asks Edie if she'd be happy for Bobbie to come and visit their home. Myra commiserates with Meg and tells her that one of the prisoners knows the identity of the second attacker, but cannot give Meg the name without lagging. Judy finds some rotten food in her bed, and Dot tells her it must have been Angel who put it there. Marlene studies the form but Bobbie proves she has no idea of how to work out odds. Kerryn wakes Pixie up with a nightmare: she is finding the separation from her husband difficult to bear. Judy empties a shampoo bottle into Angel's shower bag: she and Myra agree that they will have to start getting tough with Angel. Stan sets off to work in uniform, and Nev follows him. The women find all their clothes are missing when they return from their shower, so they go to breakfast in their pyjamas. 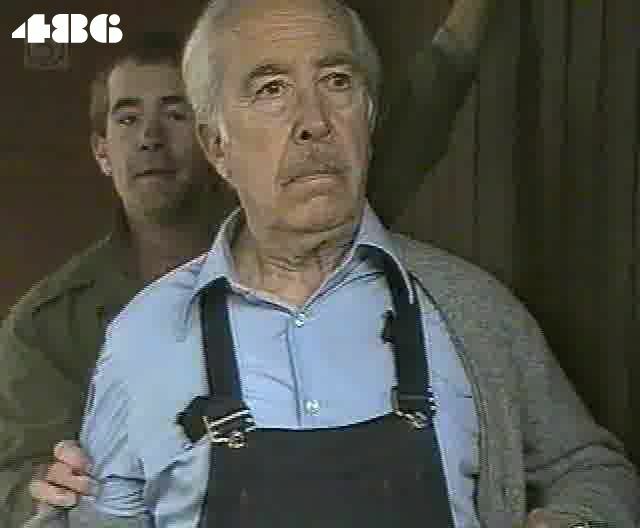 Nev catches Stan leaving a public toilet where he has changed into his workman's overalls: he tells Stan he wants his job or he'll tell his wife about his quick change act. Marlene and Bobbie get Myra's permission to start running a book. Marlene is caught by Joan putting out a mattress fire started by Angel and gets the blame for it. Myra roughs up Angel and gets her to tell more about Peter Wright. Phillip starts typing classes for the women, assuring them that a secretary earns a "top salary" (?) Dot is found unconscious after taking her ulcer medicine: it turns out it had been poisoned. Myra gives Meg a list of Peter Wright's other victims. Inspector Rouse calls Ann at work and asks her to leave immediately for her flat. Meg refuses to protect Angel when the women come for her: they take her to the shower block and cut off all her hair. Joan finds her cowering in one of the cubicles. Inspector Rouse tells Ann an intruder has been spotted at her flat, but he got away. The credits broadcast on Channel 5 and previously by Granada were exactly the same as for (485). There are no new characters who only appear in this episode, so I have listed above the characters who do appear.